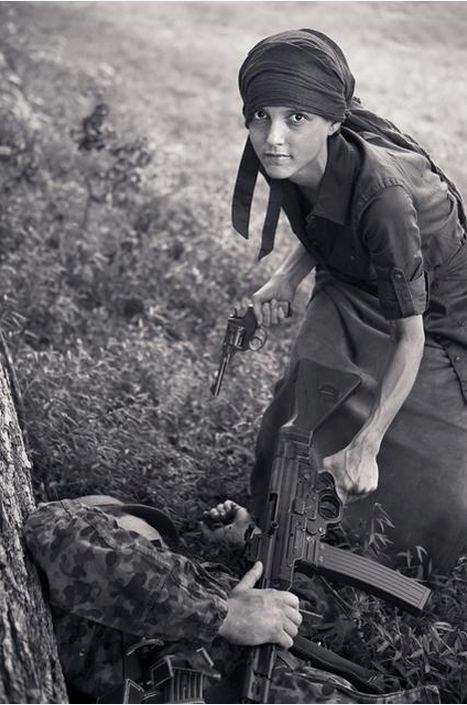 Claim: this is a photo of a partisan taking a trophy STG44 rifle from a dead SS Panzergranadier (during World War II). The claim is not true. This photo was taken by Oleg Volk in 2012. Mr. Volk creates ad campaigns for over sixty brands in the firearms and self-defense industry.